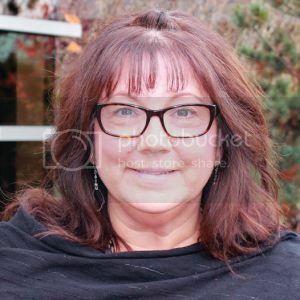 Internationally recognised author, Lorelie Rozzano, is a writer, blogger and recovery advocate who works in the field of mental health and addiction helping individuals and their families recover from substance use disorder. As a daughter, mother, wife, and survivor, she offers insight into the world of chemical dependency. Lorelie has given thousands the glasses they need to see addiction from every angle. She has written several books on the topic, including “Gracie’s Secret”, “Jagged Little Edges,” “Jagged Little Lies,” and “Jagged No More.” Lorelie hopes the honesty found in her books will inspire addicted persons and their families to reach out for help. i have read your Book Jagged Little Lies on Holiday and love it. I’m glad you enjoyed book 2 in the series! I really like what you do. I found your website by luck but I am glad I did. I have my cousin who uses drugs. We tried everything like rehab counseling but not much help. The only way you can fail at recovery is to quit trying. I encourage you, your family and your cousin to keep reaching out. You can also private message me on my Facebook page for more support. Best wishes! Thank you much for your story…. and Best wishes your daughter by Me….. I read the all to real post by Meshelle Bernice written from the addict view. I have been the enabler of my adult grandson who is a heroin addict. I now only give him a roof and food. I find it would be easier to kick him to the curb if it were not for the mental health issues that preceded the addiction. Why can’t a family member commit a relative on this spiral of suicidal behavior? Jail is a forced sobriety but does not deal with the issues. I have been to court, I have asked for help and find jail is the only motivator that is moving him to seek treatment as a lesser of two evils. You are amazing. We are so lucky you are here on this planet at this time, sharing you wisdom, learning and love. I just want to give you a cuddle. I’m sorry to hear about your sister. There are many groups available to her if she wants help. Have you talked to her about your concerns? Hello, I just discovered your site after reading some of your poetry on “A Mothers Hope”. Writing has helped me to cope with my daughter and her addiction. If you are looking for contributors I would be happy to share. What I have read on your site so far, has really hit home. Hi Tammy, where can I find your writing? I hope this finds you well. I am a big fan of your site and its content. Are you looking for contributors? I am an amateur addiction blog writer and would be happy to write a blog post or article for you. Why don’t you send me something you wrote? You can private message me on Facebook and if it’s right for this page I’ll post it, giving you credit. Hi are your books online or carried in book stores? Hi Cheryl, you can get them online with Amazon or Barnes and Noble. Best wishes! What fabulous things you are doing to help addicts and their friends & families cope with this horrible disease. I picked up a copy of your “I NEED to get High” letter at a local school district’s drug awareness program. It is POWERFUL. I would love to share it and give you the credit for it but would not do so without your permission. Shall we talk offline? Thank you for sharing your pain and your victories so that others may benefit. Hi Becky, Thank you for reaching out to me. I’m glad to hear my experience is benefiting others! Hell has an exit, we just need a little help finding it. Please use whatever you find helpful. Best wishes! My daughter is currently 21 days sober n embracing it after an ugly intervention where it looked and felt like this was r last hope n we lost. Lost her to dying sooner than later. She had recently overdosed 2 x’s in same week prior to my brother planning intervention. She’s always been a full force to reckon with good or bad and no matter what her goal was she wld always win or succeed not always in positive way. Even though I truly feel she is gonna also go full force n succeed at winning over her addiction cuz she always does beat her opponent, I still find myself looking up anything and everything to do with addiction like I’m feeling obsessed in a good way. Knowledge is power and the more I learn the more I become obsessed. That’s how I found your letter and as I read it i cried amazed it was everything and ever word I have spoken silently to myself. It made me feel somewhat normal. Thank you for sharing! thank you for sharing your story. Best wishes to you and your daughter! I just wanted to follow up and see if your website jaggedlittleedges.com is currently accepting guest blog posts. If yes, please let me know asap so I can prep a high quality, unique piece of content that will engage and inform your visitors. Either way I hope to hear from you. Hi Kristine, do you have content I can look at? I’d like to see what you have in mind. Best wishes, Lorelie. Hi . I Odered 3 of the jagged littles edges books , hoping you can help me as I have not received these books order approx 3 months ago . Hi Jeanette, who did you order them from? You have managed to put in words all my thoughts and feelings, from my addiction thru my recovery! I have a long story that I think God has been wanting me to share but haven’t been able to! Thank you so much! Lorelie, I love your stuff! Thanks for what you do. If you ever post content from other bloggers we’d love to have you share some of our work. You can take something we’ve already written from https://mabryliving.com/ or we could write something new for you. Thank you John! I’d be happy to share ab article of yours. Why don’t you choose the one you think best suits my page? Hi Lorelie, may I ask, what is the best tip you can share about starting my own recovery blog? I just read “I Need to Get High”. What an amazing piece of writing. As the Mom of 2 heroin addicts, I’ve read everything I can get my hands on in order to grasp what happened to my beloved children. Never, ever have I come across anything that so perfectly depicted the loss of their souls to the beast of addiction. This should be required reading for everyone who loves an addict. Where did you find this writing? Is it book? I helped my husband bury his son 29 last wednesday. The day before the funeral we had to create and plan, the bondman took my daughter back to jail for being late on her payment. They looked to me and i sure dont have it now…this letter to my daughter you wrote feels right for me to send…i tried to get her to know they would do what they did if she was late. She has grieved her own two kids so hard and for her life seems so hopeless…now thinking she wont see her kids for years over prison…i dont know if now would be the right time to say that to her? Could it be? Is there a 3rd book to your Jagged Little Edges and Lies books? I have devoured them faster than any other book in a long time and am SO APPRECIATIVE for what I’ve learned from them. Yes there is. I’m writing it now and close to the finish line! YOu could try NA meetings. Or switch doctors, or tell the one you have you’re struggling with addiction. Or you can call this number if you’re looking for support. 1 888 614-2379. Stay desperate and willing. You can do this. Is there a local bookstore that i can purchase these books? Or only on amazon? Hi Heather, some book stores have them. You’d have to call your local stores and ask. YOu can also ask your librarian to purchase them for loan, or lastly, you can get them online at Amazon and Barnes and Noble in paper back or e version. So excited to read your books and this webpage i am very new into my recovery 43 days today but im in love with all the blogs and books and information there is out there to help me understand and see what others have done to face the addiction. Thank you!! Nice to meet you Valerie. Stay the course, it is SO worth it! Is there a way to get a copy of the dear mom and dad letter . I lost my 33 yr old son only child to addiction (prescription drugs) 4 years ago this July . Seen this letter this morning and it just hit home . Thank you so much for sharing . I’m so sorry for the loss of your precious son. You can copy and paste this onto your browser. Or I can e mail you a copy if you’d like to private message me on face book. You’ll find me under Lorelie Rozzano Author. Your information is so knowledgeable. The letters help so many people that I have sent them to. It reminds them that they most of the time could not help with the addiction their love one was suffering. I am the Mother of an addict daughter who is 2 months into treatment. Finding much I can relate to in the few things I have read here. I was definitely her enabler and first go to person. Her drug of choice is Heroin and it is so scary. Cyndie, there is much to be learned. Addiction is a family illness. Everyone needs support. Healthy boundaries are a must! Reaching outside the family circle for help, will initiate these changes.Good luck! I just found your blog and am a fan! I like the no nonsense way you break down both active addiction and recovery. It’s rare to find someone that writes HONESTLY about what it’s like. Thank you for spreading the message of hope! I write the blog for a treatment center called Lighthouse Recovery Institute. Find our blog here http://lighthouserecoveryinstitute.com/category/addiction-articles/. I’ve covered just about all areas of addiction and recovery. Anyway, if you like the writing I’ve done, I’d love to be featured on your Resources list. I’m also always open to guest blogging. If you’re interested in either, let me know. If not, no worries at all. Like I said before, thanks for spreading the message and keep it up. I am a writer and director of recovery plays. My recent play on the history of the 12-step movement is being performed in Atlanta, GA during the week of the 14th International Conference of A.A. and I would like to send you a press release so you can consider posting some information on your website. Do you have a contact email I could use? Hi Jackie, please pm me on face book and I can put it up. Congrats on your play! I am the.mother of an addict..we all fight tha sam fight i a sense..lets unite.. I am so sorry for the loss of your son. 17, he was only a baby! Teens need to hear your message! I’d start with your local high schools and upper grade elementary schools. Grade 6 and up. The younger kids can be more teachable than the older teens. Contact treatment services in your area and offer to come in and share your story. Start a blog, or a face book page in memory of your son and share his story. Those are just a few ideas. I hope they help! i went to santafe Recovery centre! Did you work there?! Your name is just so familiar! I was impatient at a residential tx. Centre. I just nominated you for another award here – http://annarosemeeds.wordpress.com/2013/12/17/the-sisterhood-of-the-world-bloggers-award-and-blog-of-2013-award/ I hope that you have a lovely December! I am releasing my first book for publication on Monday. Any hints to marketing you can give would be appreciated! Congrats on your book. Book reviews sell books, you might want to start by focusing there. You will need to get your name ‘out there’ By hiring a PR person they can walk you through what works and what doesn’t. Best of luck! Thanks! Do Amazon reviews count? You are an amazing writer and encourager! I just nominated you for The Versatile Blogger Award at http://annarosemeeds.wordpress.com/2013/08/09/the-versatile-blogger-award/. Thank you Anna Rose Meeds! I think you’re pretty terrific too! And a damn good writer!! !